This massive 3,500 square-mile National Park is primarily located in Wyoming but also reaches into Idaho and Montana. The park is known as the American Serengeti due to the diverse range of animals living on the plains. 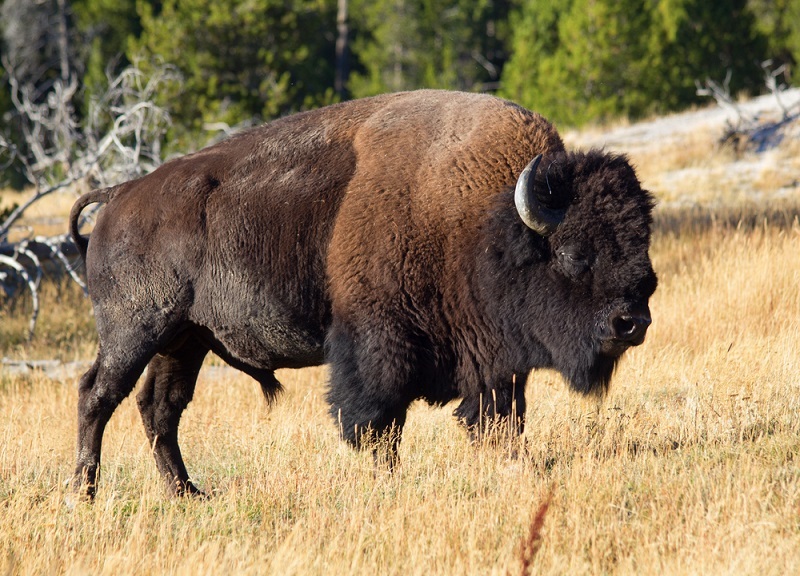 The Lamar Valley is where such wildlife is most abundant, and is home to bison, elk and pronghorn antelope. Other wildlife in the park includes wolves, grizzly bear, coyote and bald eagles. A hotspot for wildlife watchers, Yellowstone also has stunning scenery, from rivers and canyons, forest, hot springs and geysers, including its most famous – Old Faithful, which erupts regularly without fail every day. 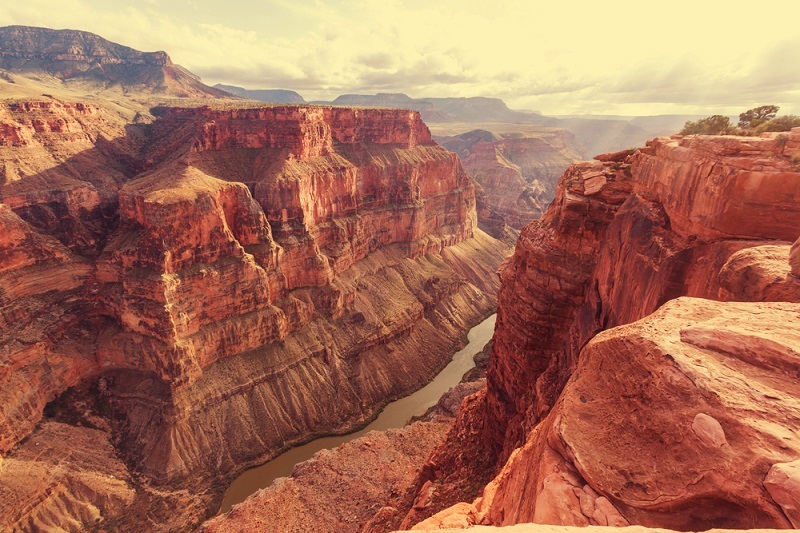 To experience nature at its most dramatic, head to the Grand Canyon National Park. The 277-mile long and 18-mile wide gorge plunges down for over a mile to its base, where the Colorado River glistens innocuously, belying the massive impact it has had on the landscape by carving out the canyon over millions of years. Not only is the drop down to the river a breath-taking sight but so are the striking colours that combine to give the canyon its distinctive colour. Each layer of rock has its own colouring, including pink, white, grey, green and brown; but the overall effect is the canyon’s unmistakable red hue. 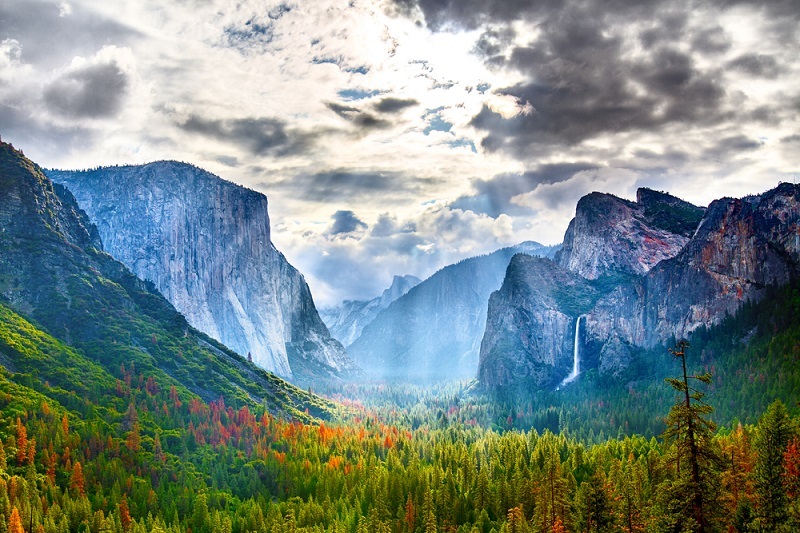 Yosemite in California is coming down with top attractions. These include Glacier Point, Half Dome and Tuolumne Meadows. Glacier Point offers jaw-dropping panoramic views of the Park from one of its highest points and allows visitors to appreciate the extent of the Park’s beauty. Half Dome is a dome-shaped granite formation. It offers a challenge to the adventurous, who can choose to scale its sheer rock face by means of fixed cables. The attraction is so challenging that a permit is required but so popular that a permit lottery is in place. Tuolumne Meadows, with its swaying grassland and trickling streams, stands in contrast to the more steeply mountainous areas of the Park, and offers a gentler excursion for those who aren’t quite up to scaling rock faces. This mix of attraction goes some way to explaining why this is the USA’s most visited National Park. 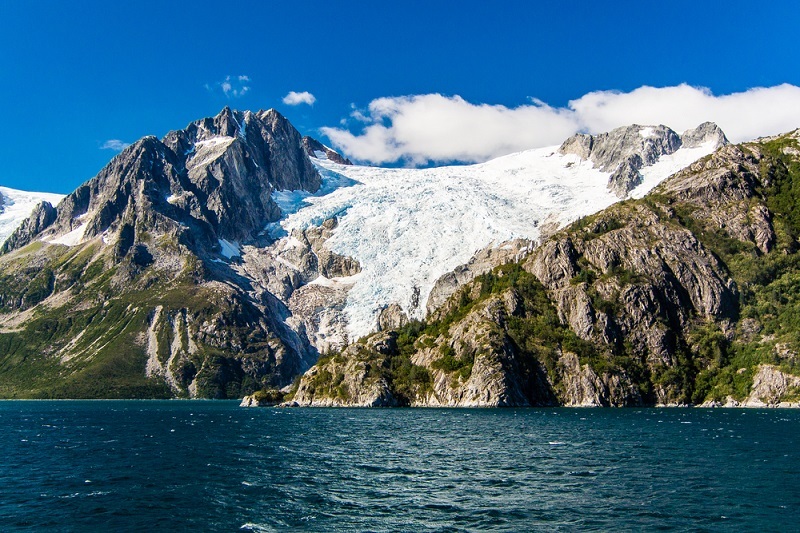 The Kenai Fjords in Alaska is the perfect place to get away from civilization and be close to nature. The scenery here commands your attention. Your journey along the fjords will be accompanied at all times by dramatic snow-topped mountains and jagged glaciers. Most areas of this Park need to be explored by boat, which will give you the perfect vantage point from which to view the Park’s other attraction – its wildlife. Whales, sea lions, bald headed eagles, puffins and sea otters are among the many species you may be able to spot on your boat tour. Don’t forget to check out the Harding Icefield by foot to see a massive expanse of ice stretch out before you. Watch land being formed before your very eyes at two active volcanoes in Hawaii, named Kīlauea and Mauna Loa. 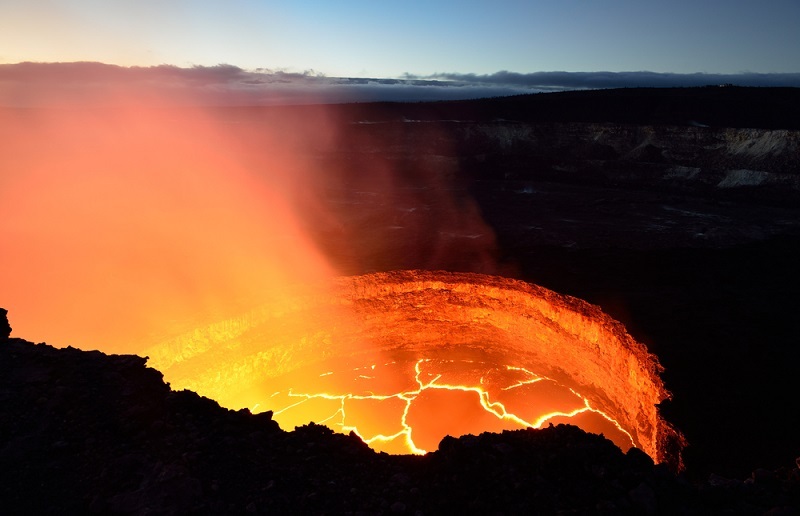 The former is the most active volcano on Hawaii and Mauna Loa is the biggest volcano in the world. These record breakers attract many visitors who come to stare into the crater of Kīlauea, known as Halema’uma’u, albeit from the safe distance of the viewing platform. There your eyes can get lost in the crater’s fiery lava lake. The surface lava flows are not cordoned off in any way, which means you could technically get as close as you like! It is important to have your wits about you, however, and under no circumstances give in to the urge to touch! If you can stand the rotten egg smell, you can also observe the phenomenon of the sulphur banks – cracks in the volcanic rock that allow gases from the magma below to escape. These gases create crystallised formations on the rocks above, giving them an usual yellow/ orange hue. Hawaii Volcanoes Park can be accessed by car and offers some incredibly scenic drives, particularly on the Chain of Craters Road. The Park can also be enjoyed by foot or bike and guided tours are a great way to enhance your experience. 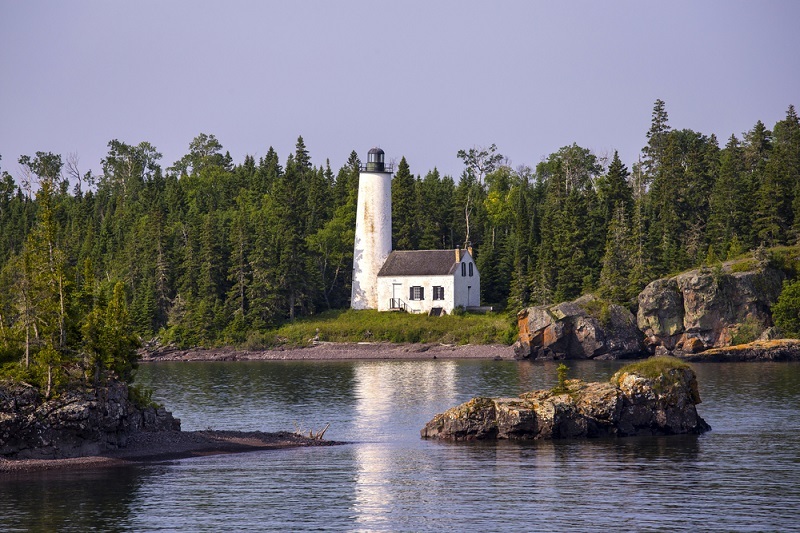 Those that love a bit of peace and quiet, will appreciate the Isle Royale National Park. Consisting of Isle Royale and several other small islands in Lake Michigan, the Park offers rugged coastline, dazzling lake views and verdant forests. From mid-April to the end of October the park is open to visitors and can be accessed either by boat or sea plane. The isolated nature of the park only adds to its charm as it restricts the number of visitors to the Park and gives those that do visit the sense of stepping onto another world. Visitors can submerge themselves in the island’s wilderness by hiking, canoeing on the inland lakes, boating around its Lake Michigan shores or by scuba diving. Guests can camp on the island and live like castaways, fishing in the waters for their next meal! In the state of Kentucky you can step into another world underground, in the form of the Mammoth Cave system. This is the most extensive cave system in the world with 285 miles of passageways lying within the Park. 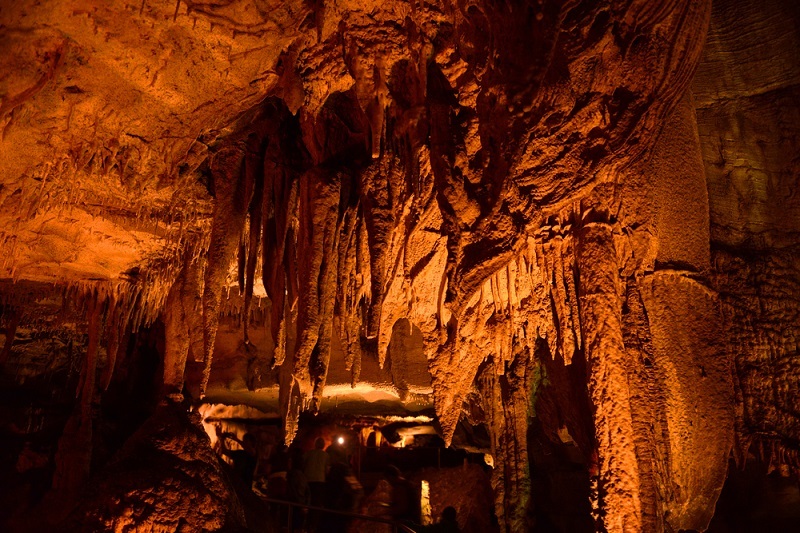 The cave boasts loads of stunning formations, such as stalagmites and stalactites, and gypsum flowers and needles. The intricate detail of these formations stands in contrast to the wondrous vastness of the caverns. All can be admired on a guided tour of the cave. But, there is plenty more to do in the Park outside the cave. You can also enjoy fishing in the Green River and Nolin River, go camping on the river banks or enjoy the 83 miles of hiking trails on offer. Many trails are also suitable to travel on horseback or by bike. The Rocky Mountain National Park in Colorado is known for its road system, which cuts through remarkable landscapes, allowing visitors to experience different terrains and ecosystems from the comfort of their own car. 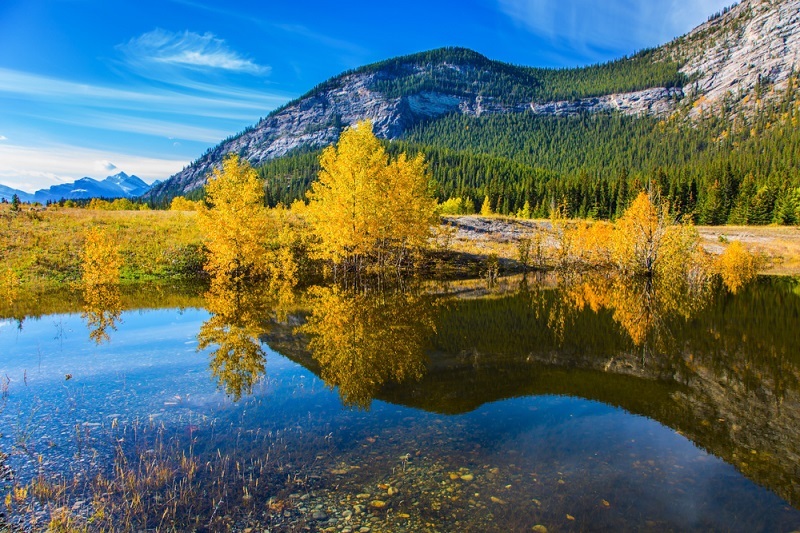 Visitors can view meadows, rivers, forests and aspen groves. The roads climb high in this mountainous region, with the Trail Ridge Road sweeping up to 12,000 feet. This is in fact the highest paved road in the USA. You don’t need to stay in the car to enjoy Rocky Mountain, though. You can hike on its many trails, go horseback riding or enjoy a day of fishing. Your trip doesn’t need to stop at the end of the day, either, as you can choose to camp at one of the Park’s campsites. Or, you could take things a step further and try wilderness camping and really get close to nature. The scenery at Rocky Mountain is breath-taking, but your trip will really be enhanced if you get to see the Park’s wildlife, too. Residents include elk, bighorn sheep and deer. Redwood National Park is the home of the eponymous redwood trees, which stand at hundreds of feet tall, with the tallest reaching 379 feet. It stands to reason that you will spend a lot of your time at Redwood staring up at these trees trying to take in just how tall they are. It’s not only their height that will amaze you but also their width, with many of the trees measuring up to 22 feet at the base. 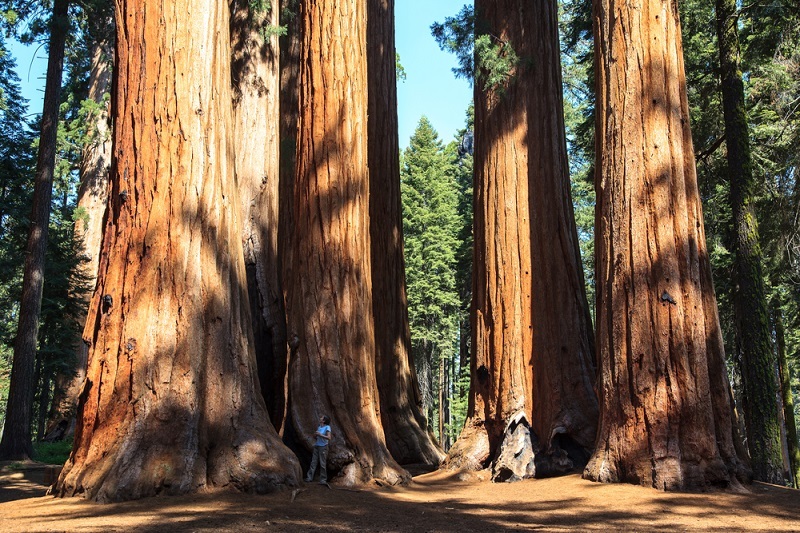 A particularly special place to view the redwoods is the Tall Trees Grove. Only 50 passes a day are made available for this area, making it more of a VIP experience. To reach this area you must drive a considerable distance by car, type in a code to open a locked gate and continue to the car park. Then you get to hike past massive ferns and other large plants in an area that has been likened to the set of Jurassic Park. It is here, too, that you can see the Libbey Tree, which is the tallest redwood tree accessible to visitors. The National Park Service and California State Parks both protect the Redwood area, which also extends to other types of landscape, from prairies to coastline. Highly recommended is Enderts Beach within a secluded cove where visitors may spot seals as well as much tide pool wildlife, such as starfish and anemone. Looking for other vacation or holiday destinations? Check out the Best Cycling Routes in the World or our list of Unusual Holiday Destinations in Europe. St Patrick’s Day typically conjures images of revellers in Dublin or flamboyant parades in east-coast cities of America, such as New York and Boston. But you may be surprised to learn that St Paddy’s Day celebrations can be found the world over, from Russia to the Caribbean. Some of the most unusual locations can be found below as Send My Bag takes a look at how St Patrick Day is celebrated around the world.